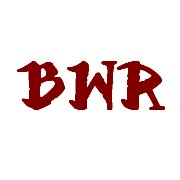 WWBPS - was founded in April 2011 during National Poetry Month. Author, poet, activist and educator, JP Howard curates and lovingly nurtures the Salon. WWBPS is a forum offering women writers at all levels a venue to come together in a positive and critically supportive space to create, express and give voice to poetic and other inspired works. WWBPS hosts monthly literary salons in the NY area and plants poems in our Poetry Garden. Sheila Slaughter (pictured above) was an original co-founder of WWBPS in April 2011 and moved on from the Salon in early 2012 to pursue a new venture. Sheila is a blossoming poet and visual artist. She works as a University HR Project Manager, and holds a BA, Liberal Arts degree with a concentration in Democracy & Cultural Pluralism from The New School. Sheila's long held interest in cultivating a venue for women, affording them the freedom and space to feel, think, and explore varied creative outlets, was realized with the launch of WWBPS. Since moving on, Sheila has founded Bohemian Woman Rising (BWR). Sheila's website is now live and WWBPS encourages Salon supporters to visit and Celebrate Your Sacred Self!